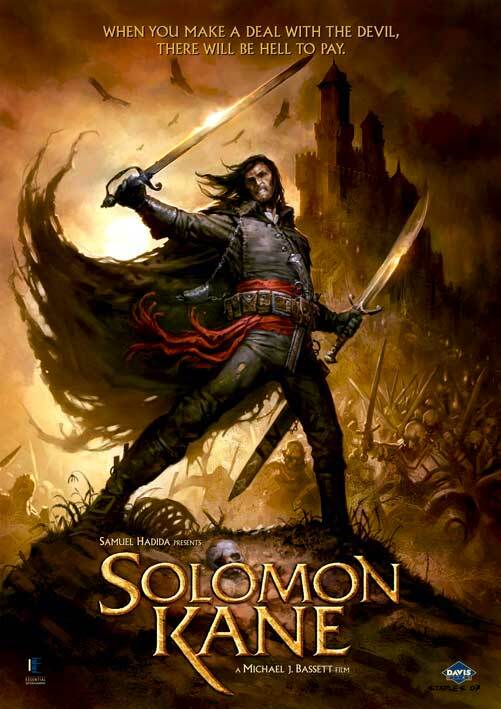 Salon recently posted an enthusiastic review of the 2009 movie Solomon Kane, claiming it's "far superior" to the recent Conan the Barbarian film. (Which, hello: damning with faint praise.) Conan and Solomon Kane were both created by the pulp fiction writer Robert E. Howard, but the Salon reviewer claims that Solomon is a "solid sword and sorcery movie built mostly on [actor James Purefoy's] ability to be totally badassed in the title role while looking like a refugee from a Thanksgiving parade float". Apparently, Solomon Kane is only available via Netflix streaming (and only for an indefinite length of time), so the next time I have a spare evening I'm going to make myself some popcorn and give it a shot.